The Golden State Warriors took Game 1 of the NBA Finals. OAKLAND—Kevin Durant’s rim-rattling slam dunks sent the sell-out Oracle Arena into hysterics, as the Golden State Warriors dominated the Cleveland Cavaliers, 113-91, on Thursday, June 1. The Warriors hold a 1-0 series lead in the 2017 NBA Finals. KD was spectacular pouring in 38 points, to go along with 8 rebounds and 8 assists. The Warriors/Cavs rivalry is one of the fiercest, most competitive in professional sports period. The NBA juggernauts are meeting in the Finals for the third consecutive year, a feat never achieved before. In 2015, the Golden State Warriors hoisted the Larry O’Brien trophy, in 2016, the Cavs got their revenge, overcoming a 3-1 defecit, eventually winning the 2016 rematch in an epic seven game series. This is the rubber match, furthermore, it is the most heart pounding, exciting NBA rivalry since the Lakers and Celtics. The city of Cleveland finally got their first pro sports title, while Golden State had to live with the regrets, and the now futile decision to pursue, and own the hollow best regular season in league history. These Warriors are seeking redemption, their victory on Thursday pushed their postseason record to a flawless, NBA record, 13-0. The game opened up with a flurry of high octane offense, the lightning pace favored the Warriors. Golden State controlled the paint from tip-off, outscoring the Cavaliers by a margin of 56-30. The lane opened up like the parting of the Red Sea, as Durant was untouched by any Cavalier going to the rim. He was unstoppable; the lane seemed to be a tarmac for the seven foot Durant, who is searching for his first NBA title, and dazzled the Warrior faithful dressed in mustard yellow with his entire arsenal. Stephen Curry played a fantastic game as well. He scored 28 points, dished out 10 dimes in the process. He erupted in the third quarter, scoring 14 points in the corner including a step back three from way beyond the arc that swished through the net. The 3-pointer put the game out of reach, Curry stomped on center court so violently he nearly kicked himself in the forehead. His passion and intensity was on full display. The Cavaliers have no reason to push the panic button just yet. In Game 1 of 2015 and 2016, the Cavaliers lost. LeBron James, who is appearing in his seventh straight NBA Finals, scored 28 points, grabbed 15 boards and had eight assists. Unfortunately, the Cavaliers committed an ungodly amount of turnovers, 20 to be percise. Compared to a miniscule 4 by Golden State. The Warriors turned up the defensive screws. This Cavaliers Warriors rivalry has more subplots than a telenovela. Can LeBron ever surpass Michael Jordan to become the greatest of All-Time? Who will win the matchup at point guard? Kyrie Irving or Steph Curry. Most importantly, will any of these games be close? The entire 2017 NBA Playoffs have been one blowout after another. Don’t the fans deserve a nail biter, a game that ends with a buzzer beater? 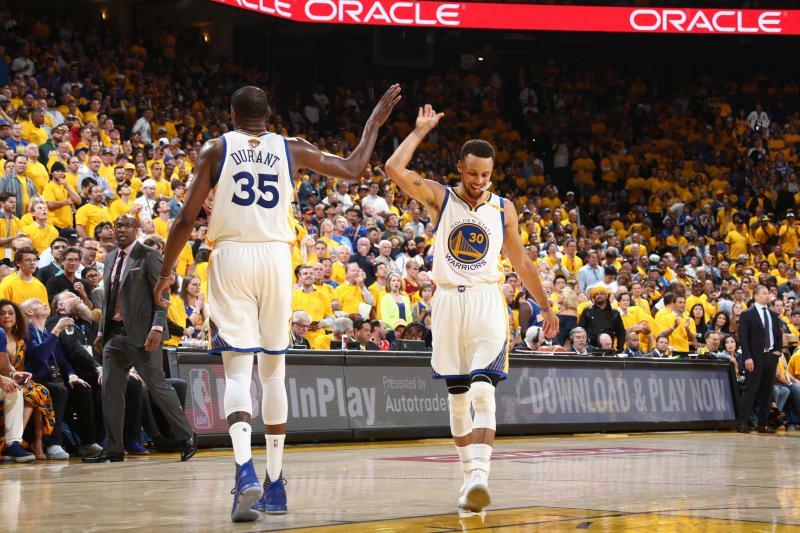 Perhaps Game 2 will be a closer contest, tipoff is at 5 p.m. from Oracle Arena on Sunday, June 4. The game will air on ABC, as the Cavaliers look to even the series.